For over 25 years Cappiello Landscaping has been beautifying homes across Long Island. 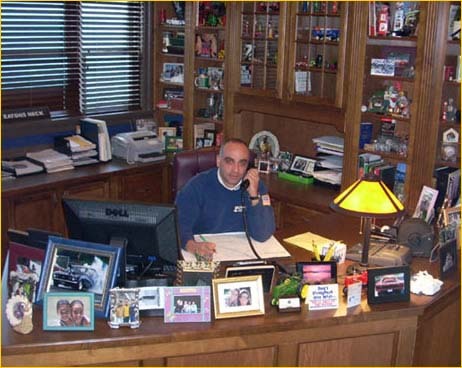 Owner Joseph Cappiello personally meets with every homeowner to discuss their project. When choosing Cappiello Landscaping you will be presented with unique ideas for Plantings & Flowerscapes as well as the most creative layouts in Masonry & Poolscape designs. A combination that will surely illuminate your property with color & style. Cappiello Landscaping is not only a Landscape & Masonry company but we also offer a full service Property Maintenance program as well. From Weekly Lawn Service to Irrigation to Tree Removal we will make sure your property is kept immaculate. Having a business relationship with Cappiello Landscaping insures homeowners that their exterior project is our first priority. All projects and services provided by Cappiello Landscaping are done in a timely fashion. Owner Joseph Cappiello is present on every project and will keep customers informed of his progress thus far. All projects are completed by our highly trained and knowledgeable staff. Cappiello Landscaping provides full services to both Residential & Commercial clients & is Fully Licensed and Insured in both Nassau County & Suffolk County.